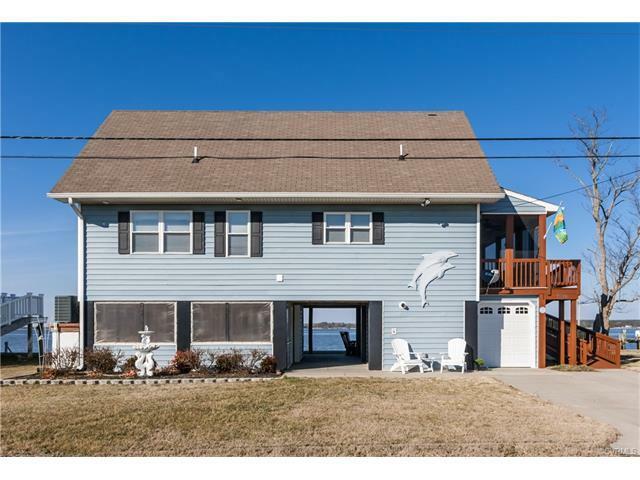 1016 Fort Lowry Lane, Dunnsville, VA 22454 (#1705782) :: Abbitt Realty Co. 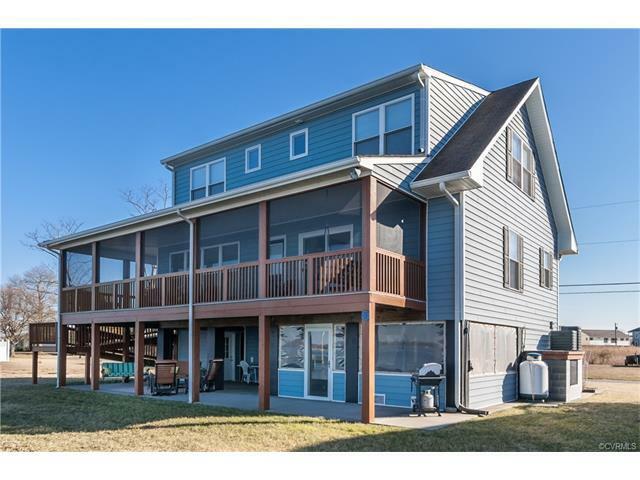 BRAND NEW ENGINEERED WOOD FLOORS ON 1ST LEVEL & FRESH PAINT THROUGHOUT! 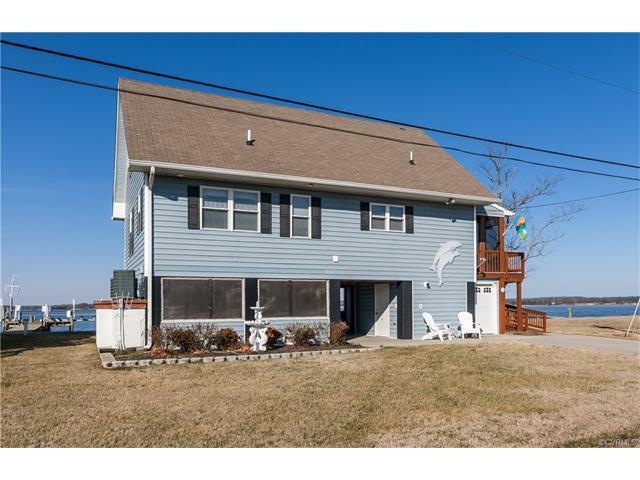 Let your worries and cares drift away at this waterfront retreat just minutes from the town of Tappahannock. Soak in the breathtaking sunrises and sunsets while you swing under the covered patio or relax on the screened porch and enjoy an evening breeze. 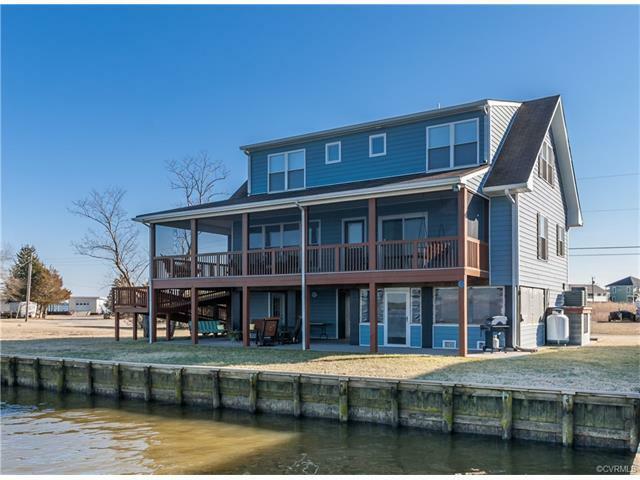 Grill and entertain guests in the screened party space or treat them to an afternoon of boating and fun in your backyard on the Rappahannock. Grab your golf cart and take a cruise through this golf cart friendly community or take a leisurely stroll down this quiet, dead-end street. There's something for everyone to enjoy! Other conveniences include first floor en suite master, pier with 2 jet ski lifts, boat lift, golf cart garage, concrete drive with additional gravel lot for parking, ramp or stairs from ground level to first level living, additional storage & workshop with refrigerator on ground level, gas fireplace and gas cooking. A quick 10 min. drive to the town of Tappahannock, 45 min. from Mechanicsville, and less than an hour from Fredericksburg. Listing courtesy of Re/Max Signature. Listing information © 2019 CVRMLS and CBRAR.